Economic Development Council CEO Kyle Ham fields questions from Mclean County Board members ahead of the vote on the Brandt deal. The McLean County Board voted 16-1 on Tuesday for a proposed deal to bring a Canadian manufacturer to central Illinois in exchange for at least 300 jobs and a plant investment of more than $21 million. Brandt Industries CEO Shaun Semple said he has to sign the deal to purchase the Kongskilde plant off Old Route 51 between Normal and Hudson on Wednesday. Brandt makes grain handling and grain conveying equipment. The purchase would close in mid-December. 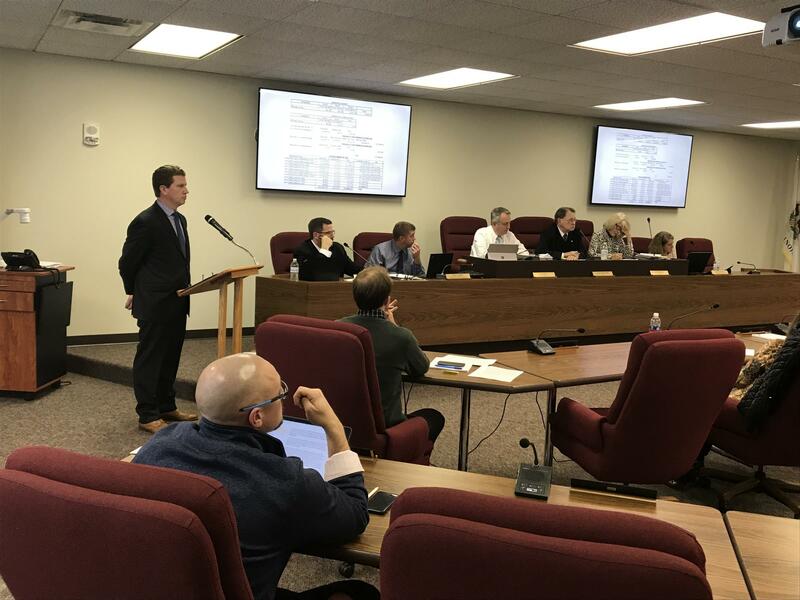 To meet that Wednesday deadline, economic development leaders, Unit 5 school district officials, and representatives for McLean County government negotiated into Sunday night before finalizing language. That caused resentment and reluctance by some county board members who felt pressured and rushed to OK the proposal. Unit 5's school board approved it Monday night. 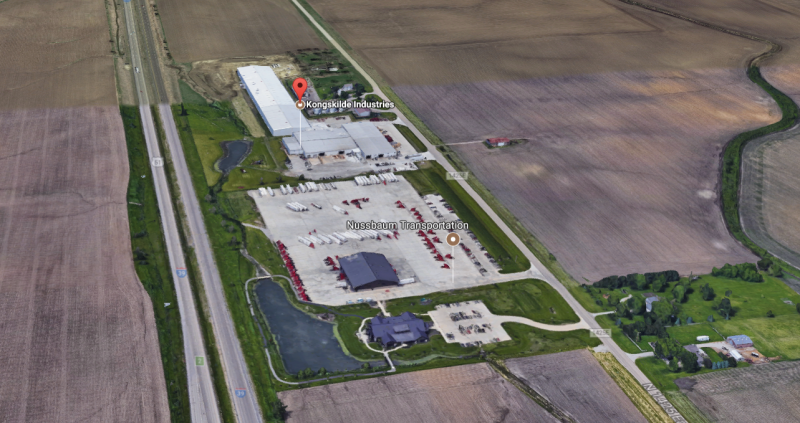 Brandt Industries would move onto a property between Normal and Hudson now occupied by Kongskilde, another agricultural company, officials said. "I have always believed that in general quick government tends to be bad government," said board member Erik Rankin. "I'm not super happy with it," said member Ryan Scritchlow. "I really don't like this deal," said member Scott Murphy. "This is a bitter pill to swallow," said member Jacob Beard. Several board members also voiced concern about the lack of clawback taxpayer-protection provisions in the agreement for non-performance. "It sets a bad precedent for future agreements. It's about protecting the taxpayers," said Rankin. One of the negotiators for the county, First Assistant State's Attorney Don Knapp, said they did not include clawbacks because they are costly and difficult to enforce. "They are like unicorns. You hear about them a lot, but you hardly ever see them take effect," said Knapp. County Board Chair John McIntyre said the county and school district preferred to establish performance targets and abate property taxes only after investments are made and jobs created. He noted there is a history of the county declining to abate taxes when Bridgestone failed to meet one of its annual development targets. The known abatement would be about $72,000 for the county over 10 years. But that depends on stated minimum investments in plant expansion and job creation. Rankin also had doubts about the lack of a cap on tax abatements if future investment in the site above the amount promised. "I hope you abate a lot of taxes and that he builds a skyscraper," said Knapp. Knapp suggested the more construction Brandt does on the site, the more the company will be committed to McLean County and the larger the tax benefit would be once the agreement finally sunsets and the new structures come back on the tax rolls. In the end all but Beard voted for the proposal, even though he acknowledged it is a great match. Beard cast doubt on the notion that incentives are more than a zero-sum game that takes jobs from one place and puts them in another. "Don't let the perfect be the enemy of the good. This is better than having nothing in that location." "I don't know why this is the final number (for abatements). I don't know why it's 10 years and not five. And then tomorrow what's to keep the next company from saying, 'Hey we're going to leave Bloomington unless you give us money' or 'Hey we're going to move to El Paso unless you give us money.' It's a tough precedent to set," said Beard. Most board members focused on the 300 manufacturing jobs promised by Brandt. "Don't let the perfect be the enemy of the good. This is better than having nothing in that location," said Murphy. "What a great community partner. This is not a hot dog restaurant. It's not an upstart business. This is a well established ag industry manufacturer. There is no better match with our area," said Board Vice Chair Jim Soeldner. If Brandt moves onto the Kongskilde property, the first hires would be made by the end of the year, said Semple. Production would begin by March 2018, he said. Brandt currently has 2,000 employees. It wants to grow from $1.5 billion in sales today to $5 billion in sales by 2025, Semple said, largely through its expansion into the U.S. market. "This is the third purchase of a facility I've made in the last 120 days, all of comparable size," said Semple. To get the tax breaks, the Brandt jobs would have to pay an hourly wage “equal to or greater than the mean hourly wage for the most comparable occupational group and title” in federal jobs data, according to the agreement. Brandt would have to report its hiring stats to the EDC each year. The Heartland Community College Board and four other taxing bodies have also scheduled votes on the proposal. Brandt could choose to sign the deal or walk away even if some of those decline to participate. 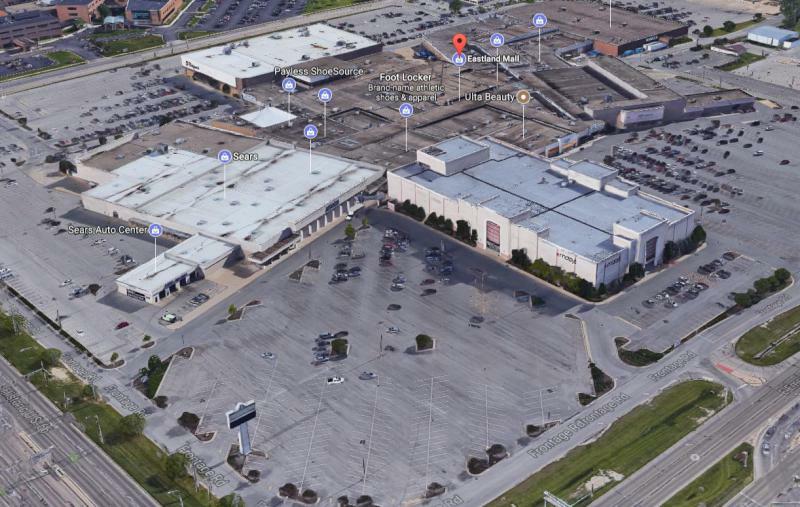 The new restaurant in the works for Eastland Mall is not new to the community at all. 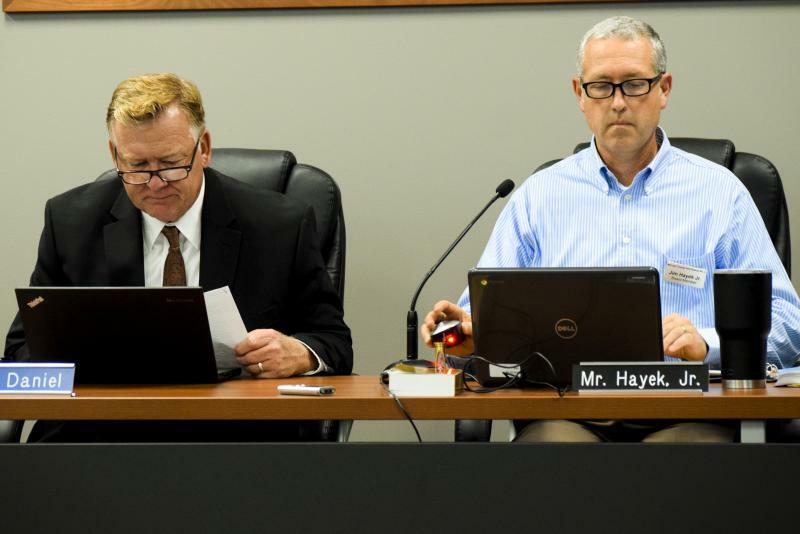 Unit 5’s school board on Monday reluctantly approved around $400,000 in property-tax breaks for a Canadian manufacturer in exchange for the promise of hundreds of new local jobs. Brandt Industries expects to bring around 500 jobs to McLean County over the next decade and might even establish its U.S. headquarters in Bloomington-Normal, the company’s president said Monday.